Mercy is a rare book that honestly chronicles the odyssey of the caretaker, a grueling battle through time that anyone who’s witnessed cancer will recognize. It’s a world where random signs are welcomed as omens — deer crossing a trail, or a tree spared by lightning — but where the cold realities of fear and anger are never far away. Still, there’s wonder here, too; with an artist’s eye for detail, Judith Montgomery shows a reluctant reverence for the patterns and strange beauty of the machines, scans, and chemistry of modern medicine. 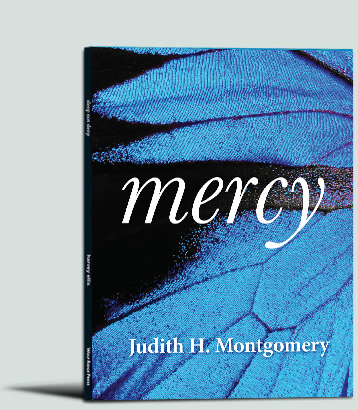 In language both matter-of-fact and mythical, Mercy is more than a story of sacrifice or even devotion; it’s a reminder that a loved one’s illness is a journey taken by two people.